The Saturday Night Dance used to be an essential town event that brought the community together. Young and old came to share a meal, dance, meet new people, catch up on local news, and have some good old-fashioned fun and laughter. It was good exercise too. Unfortunately, like the Drive-in and the Roadhouse Diner, the Saturday Night Dance also disappeared from our towns. One cannot precisely pinpoint when and why this happened. It just stopped, and somehow no one seems to be missing it. Maybe it ended because people became distracted by other forms of entertainment like Television, the Internet and Social Media. 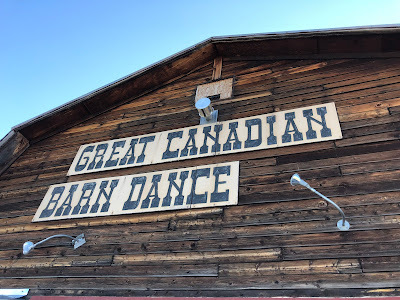 If you ask Trevor Kunkel from one of the last Saturday Night Dance hold-outs, The Great Canadain Barn Dance, he blames the introduction of alcohol to these events. "Everybody had a good time and families participated until alcohol was introduced. People started to misbehave. Before you knew it, parents stopped coming. Older folks stayed away, and people found other ways to be entertained", says Trevor. He may have a point, because the Great Canadian Barn Dance is in a dry county in Southwestern Alberta and he is now the second generation of hosts that still caters to dancers from, and visitors to the area. Saturday evenings is dance night and has been for several decades now. 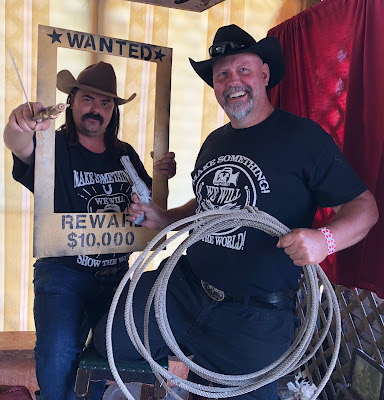 Friday evenings are for dinner shows, and the rest of the Summer calendar is filled with events and workshops for teaching old fashion dancing and music. The Great Canadian Barn Dance is, quite possibly, the only campground you'll find where the whole family can camp, dance, enjoy recreational activities, and take in live entertainment all in one scenic location. It caters to music for all ages. You can join in complimentary dance lessons, and with no liquor allowed at the dance, it's an event the whole family can enjoy, the way it used to be. We stumbled upon this gem in desperation for a Southwestern Alberta camping spot in 2017. Waterton Lakes National Park's campground was full. 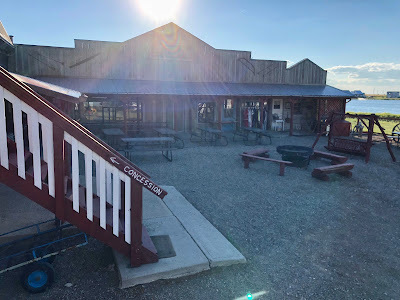 We needed a place to park in the area, and Google pointed the way to the Barn. Apparently, it all started with a barn. Instead of the Kunkels taking to the road every Summer, playing for audiences across the Province, they sought a way to draw the patrons to them. 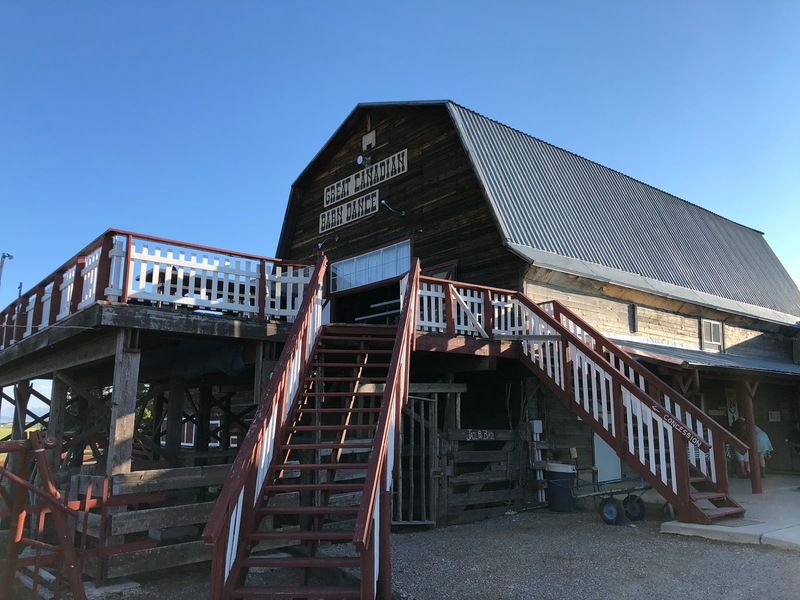 It all started with hosting a dance at the Barn. That was 25 years ago. Since then, every Spring to Fall music rung out over the Prairie, and the people continued to come. Now we have an annual appointment with the Barn too. 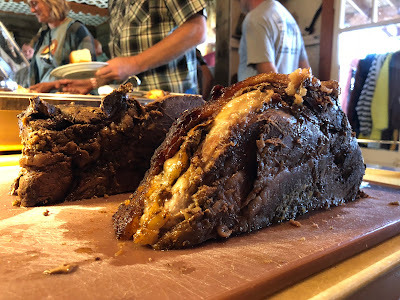 The first time we arrived we were immediately welcomed to the Barn Dance family with roast beef, corn and mashed potatoes. Before we knew it, we were doing the two-step, the waltz, the line dance and the polka. I am not sure what exactly draws us to make our annual pilgrimage to the Great Canadian Barn Dance. It could be the location, the food, the music, the dancing, or it could merely be the old-school values that draw everyone in to have fun together, young and old, like we used to. People should dance more. Start at the Barn and keep dancing. We did!